The owners of Pear Cottage had a clear and simple plan: to create family friendly holiday homes in the heart of the Dordogne where castles, caves, market towns. Pear Cottage is one of two semi-detached cottages sharing a large garden with swimming pool with easy access steps for all ages, a children's swing and a lawn area for them to play. The garden contains an abundance of fruit trees including peach, pear, apple, cherry and plum. In front of the cottages is a large shared patio area with a dining table and a large barbecue for each cottage. Pear Cottage benefits from a peaceful countryside setting with vineyards and small farms ideal for exploring by car or bike. Yet a village is only 3 minutes' drive away and there is easy access to the Dordogne's many attractions, like its pretty villages, night markets, chateaux and vineyards. 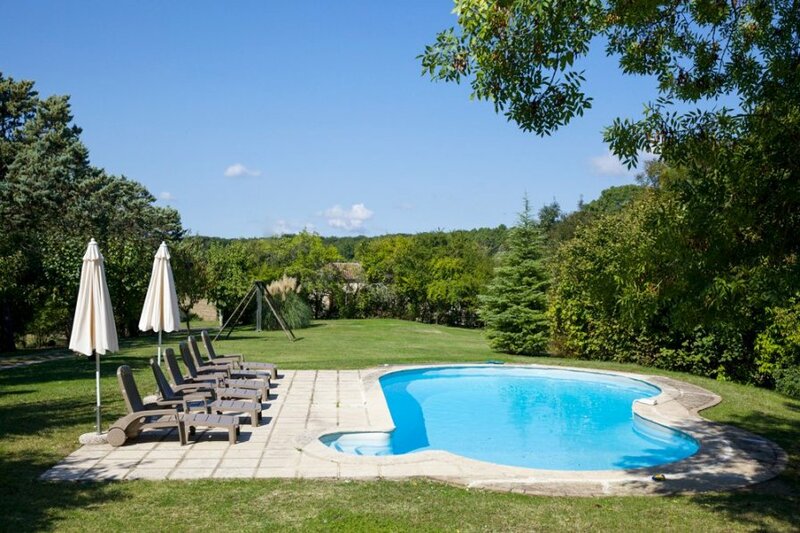 Eymet is only 10 minutes away, a fun aqua park 15 minutes and Bergerac, Duras and Issigeac are all under 30 minutes away. Relaxing and fun family holidays are guaranteed at Pear Cottage, so it's no wonder that many guests return year after year.